Blackpool International Airport (BLK) recently underwent a parking overhaul. The spaces closest to the terminal entrance are free for short-term drop offs and pick ups, but they're also open to pay-to-park passengers. Parking in the airport's other car parks is free for up to 15 days. 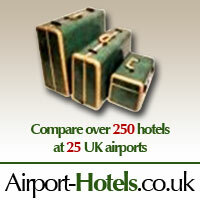 is free for outgoing passengers for up to 15 days. Free parking is specifically offered to ticketed passengers, so be sure to bring your ticket or confirmation ticket with you and present at the barrier. Free parking spaces are available in car parks P1 and P2. for most travellers, long-term parking is also free. The current setup allows ticketed passengers to park for free for just over two weeks. Passengers planning to park longer than two weeks must pay a daily fee after the fifteenth day. As with short-term parking, long-term spaces are also found in P1 and P2 car parks. parking fees apply to drivers picking up or dropping off a passenger. The difference is a matter of convenience and offers fast and easy access to the terminal entrance. The first 15 minutes are free to accommodate drop-offs and pick-ups. After this, various charges apply. Blackpool Airport has a special system for disabled passengers. Since the changeover to free parking, the spaces closest to the terminal entrance have changed over to premium pay spots. Cars displaying a disabled badge may still park here for free, but they must register their vehicle through the information desk (tel: +44 870 027 3777). is a convenient way to travel from Blackpool Airport to neighbouring resort communities, especially Southport. 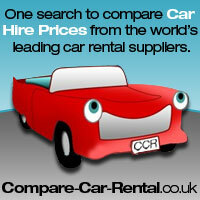 There are three car hire firms on airport grounds. Hertz is in the Arrivals Hall, while Avis and Europcar are outside in the pay-to-park car park. Booking early ensures a better selection and potential discounts.